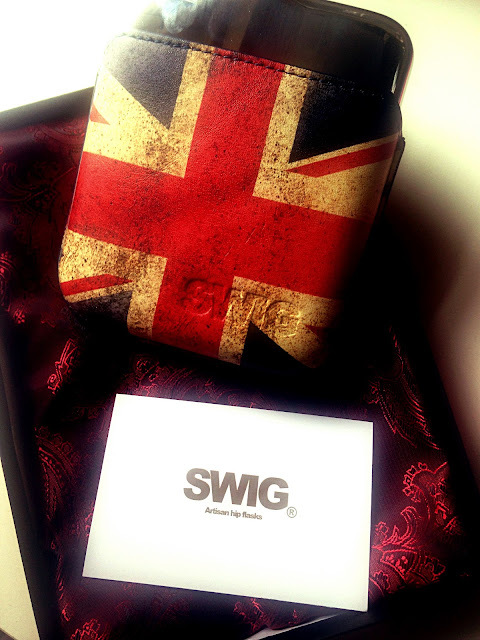 I was contacted by Swig a while ago asking if i would like to try one of their hip flasks out. Now, i'm not one for using hip flasks and i was on the verge of saying no when i decided to check out their website to see if they were offering anything different from the hip flasks i was thinking of. And boy was i surprised. Instead of seeing hip flasks like those you would imagine old men using to drink their whiskey from, i was met with some amazing hip flasks. You can read more about their story here - I must say, it gave me quite the giggles reading it. The design is incredible. End of. I was met with the caption 'A SWIG flask is more than just a hip flask'. They were correct. 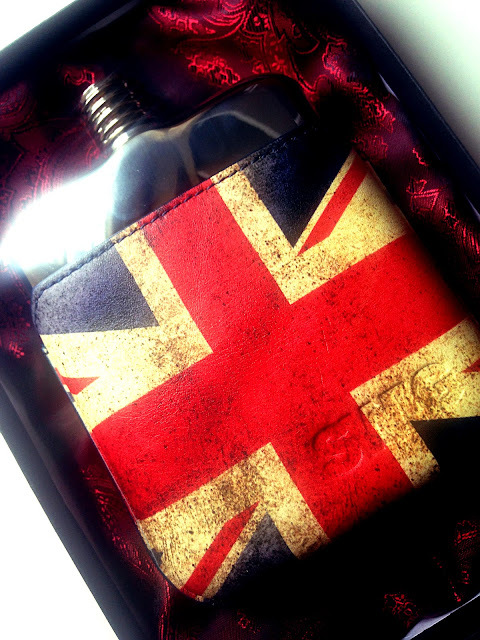 I immediately fell in love with the Union Jack flask. Just my luck, it was in stock. Now, i'm not sure what i was expecting when it arrived. 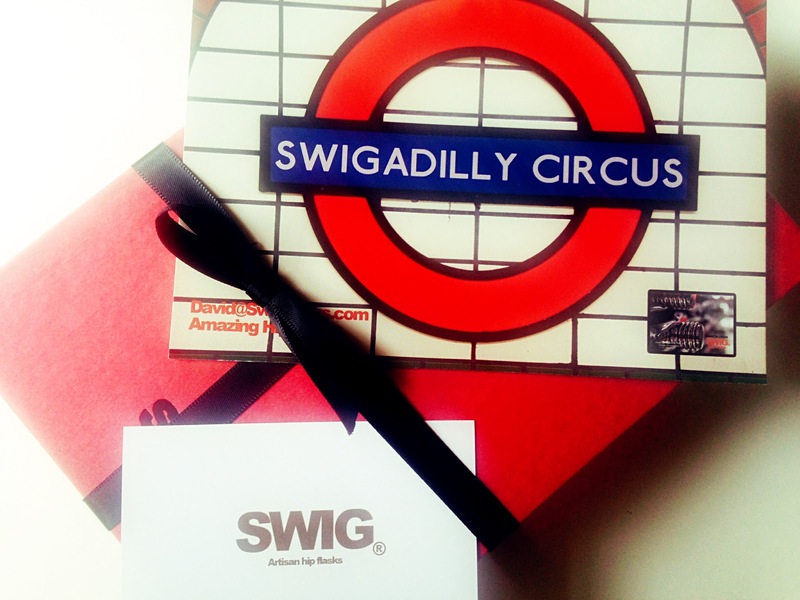 I wasn't in for the delivery because, full time worker y'know how it is... but it was re delivered and when i opened the packaging i was met with a lovely red box complete with bow and the company name embossed on the top. I'm also still laughing at the 'Swigadilly Circus' card that came with it. These guys are LOLS. Overall though, first impressions, very good. I could not wait to see what was inside. The case is leather and looks very rustic but with an amazing feel to it. It feels expensive and well made. It also has the company name embossed onto it. The Flask itself is silver in colour and scratch free. I've also found the flask at the top has the company name engraved into it as well. Fancy. It will hold enough to keep you occupied with and if it doesn't then you my friend are the life and soul of the party it would seem. 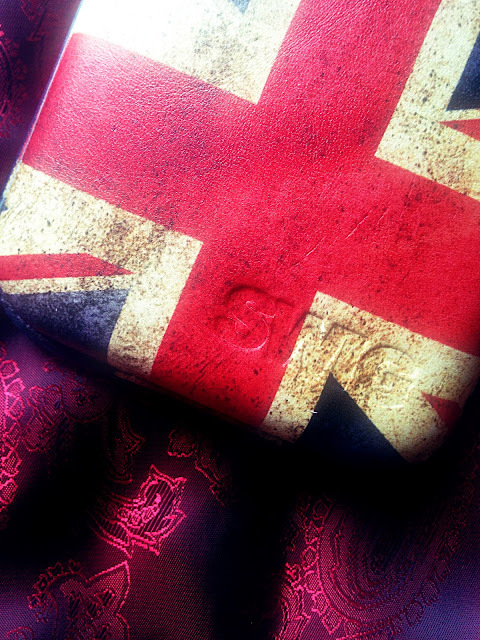 It came presented on a lovely deep red patterned cushion. I am seriously impressed with not only the flask but the presentation as well. This flask is £89.00 but at the moment it's £69.00. Sale anyone? You can browse the flasks they make here on their website and they often have discounts on some flasks although, they were sold out of a few last time i checked so they must be popular. These would make amazing fathers day gifts or birthday gifts (i feel a lovely flask would welcome those 18 year olds into the world of sophisticated drinking, no?) . Maybe even a wedding gift or for a teacher. They even do gift sets, accessories and engraving! Whatever the occasion, i'm sure you can find a flask to fit. Quirky yet cool. 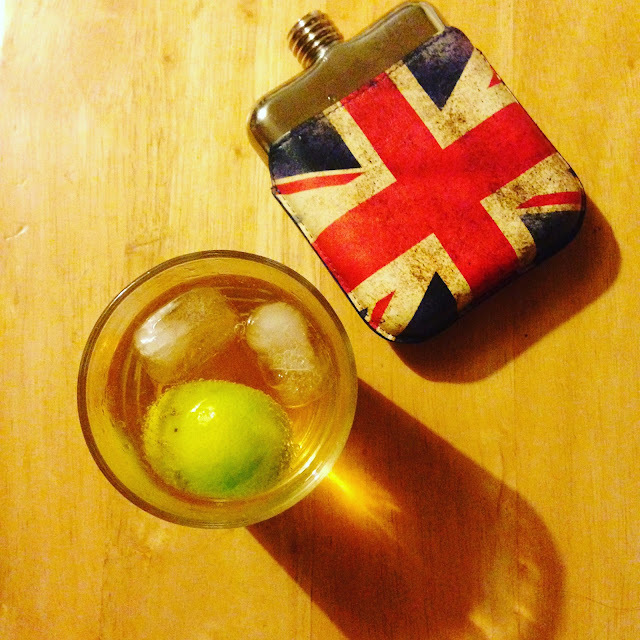 And this is what i used it for this weekend; Jameson's and Ginger Ale, with a squeeze of lime. Absolutely sublime my friends! Are flasks making a comeback? Do you love them?